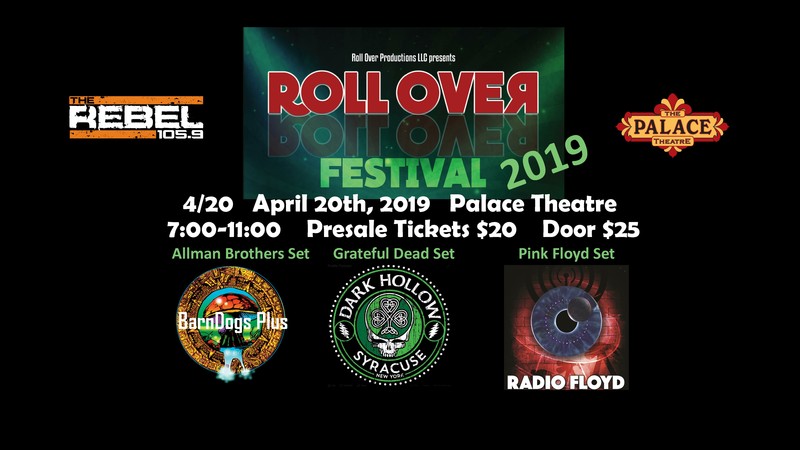 Roll Over Fest is a concert featuring 3 bands celebrating the music of The Allman Brothers, The Grateful Dead and Pink Floyd. The all ages event will take place at The Palace Theater on 4/20/2019. Gates Open: 5:30, Showtime 7:00-11:00. General admission All Ages show. ** Tickets will be available at the Palace Theatre Café for Cash only.